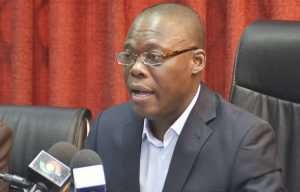 Member of Parliament for Ketu South, Fifi Fiavi Kwetey believes the New Patriotic Party (NPP) cannot match NDC’s records. Speaking on Eyewitness News, the MP said the NPP Town Hall meeting held by the Economic Management Team on Wednesday did not come close to the NDC's public lecture on Ghana's economy which systemically broke things down with corresponding facts. “Beyond everything, we took time to explain things systematically. The record for NPP cannot come anywhere near the NDC. The entire attempt made yesterday to create the impression that they have been the better management of the economy, is not so. We have actually demonstrated that, that was not the case. Our record as presented at the lecture shows everything the NDC has done,” he said. The National Democratic Congress (NDC) has argued that the presentation by the Vice President, Dr. Mahamadu Bawumia on the economy at the Economic Management Team's town hall meeting was full of misinformation. Speaking at the NDC public lecture on Ghana's economy, former Deputy Finance Minister, Cassiel Ato Forson, accused Dr. Bawumia of falsifying facts and figures, insisting that any time Dr. Bawumia makes a speech on the economy, the local currency depreciates. He insisted that the only viable way to save the cedi is for President Akufo-Addo to gag Dr. Bawumia. “I will urge the President to restrain his Vice President because anytime he speaks the currency moves. You heard him talk about the likes of the judiciary and the court systems. What has that got to do with the economic management team? He had nothing to say. He was just playing with numbers. And again, you know him and his credentials of lying with numbers. You could see lies,” he said.